Water filters operate based on a physical or mechanical process that consists in interposing a medium that essentially acts as a sieve by allowing only water to pass, separating solids or chemicals from water. While the general set-up of a water filter system is important, the filter medium is the element that does the runt of the work, so it’s the most central element of a filter system. There are many types of filter media used by the industry to offer various levels of filtration and to target specific or a wider range of water impurities and chemicals. If you’re wondering which are the most popular filter media, how do they work, and which is the single best filter media in water treatment, let us advise you on the matter. Activated carbon is the standard filter media in residential water filtration. It’s known for its amazing adsoptive capacity that’s made possible by its high surface area. Activated carbon can be obtained from wood, or anthracite coal, or coconut shell. Coconut shell activated carbon is the most widespread in-home water treatment solutions. Materials that serve as sources for activated carbon are heated with mechanisms that don’t allow them to burn and cause them to char instead, which is treated to create a highly porous material. The resulting medium has excellent chemical binding properties, which recommends it as one of the most popular filter media in water treatment. Activated carbon removes chlorine, VOCs, THMs, small amounts of chloramine, and various other chemicals and substances that bind to carbon. Activated carbon has an enhanced form called catalytic carbon, which was designed primarily to remove chloramine from water, which activated carbon isn’t as great in removing. Chloramine is used as an alternative to chlorine due to its longer staying capacity, which also makes it very difficult to remove if you don’t want it around in your tap water. AC filters continue to adsorb contaminants until they become saturated with them, after which they should no longer be used and must be replaced. It’s a natural, widely available, affordable and popular filter medium. 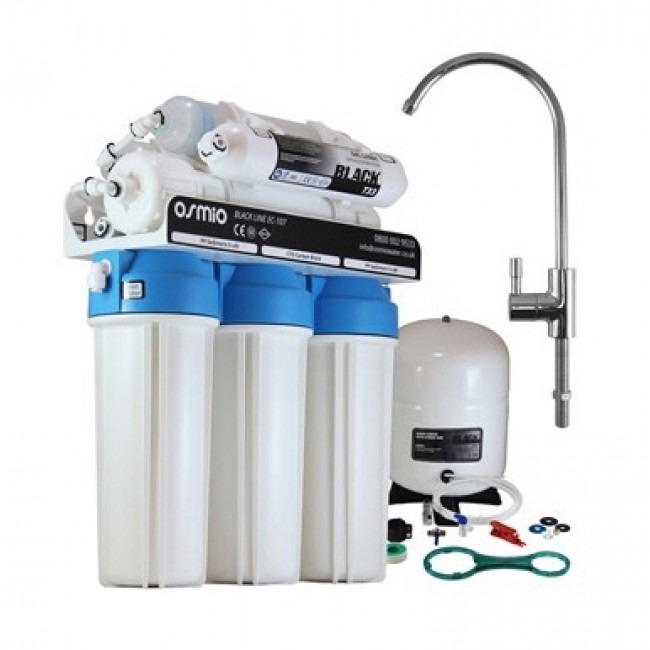 If you’re looking for an activated carbon filter system, we recommend the PurePro RS3000. This multi-stage filter is an excellent chlorine, taste and odour filter that also has the capacity to remove microorganisms like Cryptosporidium and Giardia from your water supply. The filter is made up of three filter cartridges one of which is a sediment filter that reduces suspended that might alter the appearance of water and clog appliances in your kitchen, and two granular activated carbon filters. The filter is equipped with quick-change filter cartridges making filter changeover a breeze. This model is also available in a 4-stage format, the PurePro RS4000, which includes an extra alkalising filter to optimise the pH of your tap water. Boasting a high surface area, activated alumina (AA) is a ceramic compound made of aluminium oxide and it’s designed to remove fluoride and arsenic from water. AA filters are used predominantly in areas with artificial fluoridation, where fluoride is added to water to prevent tooth decay in the population. While research has largely discredited the usefulness of ingesting fluoride to prevent tooth decay, some countries continue to add fluoride to their water supplies. AA filters can remove fluoride and prevent you from ingesting this substance that has a lot of adverse health effects if exposure to it is prolonged. AA can also be used to remove silica, humic acid and selenium from water. It’s most efficient filter media for fluoride removal. The Easy-Fit filter contains an activated alumina filter cartridge that can absorb 10 mg fluoride/g or 500mg/l of fluoride. The filter should be replaced every 6 to 12 months. Th filter is installed under-sink at a single point of use. KDF filters use redox (exchange of electrons) to remove chlorine and water-soluble heavy metals. It contains high purity copper and zinc granules in different ratios (some KDF filters use 85% copper, 15% zinc, others use them in 50%-50% ratio). It’s often used in multi-stage or multi-media filter systems. This filter system contains a mix of filter media including KDF. 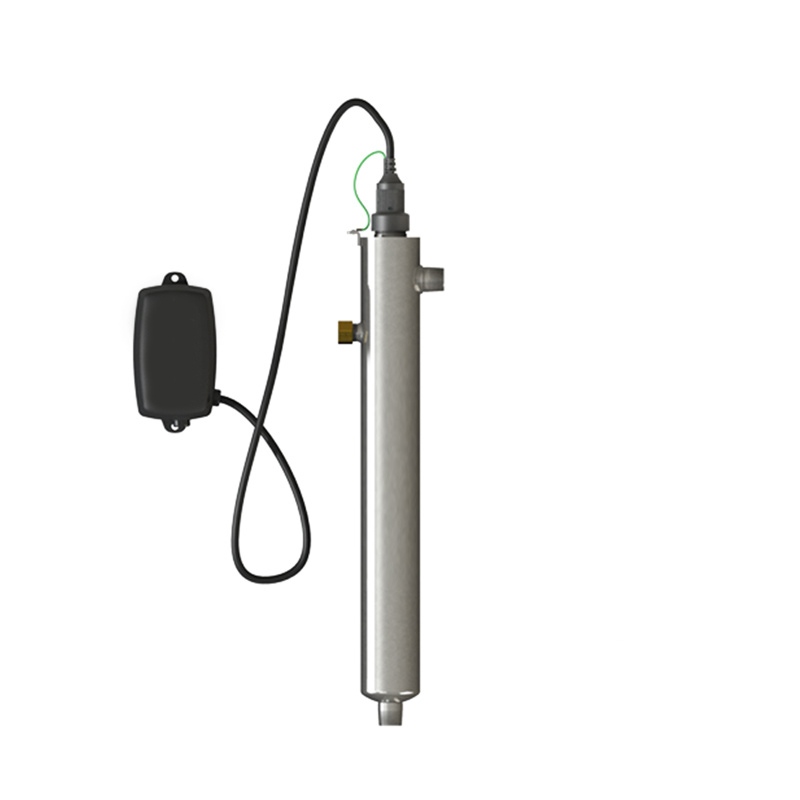 The system eliminates a range of water impurities including heavy metals and chlorine. The 6-stage under counter water filter has a 2-year service life and offers water pH optimising properties. The single filter cartridge makes maintenance and filter replacement easy, reducing filter change costs. The filter requires installation at a single point of use and comes with a filter tap included for free. Another widely popular filter medium, the reverse osmosis membrane is a semi-permeable, pressure-based medium that pushes water molecules through all the while “rejecting” water soluble heavy metals, asbestos and a range of other dangerous contaminants like bacteria, viruses, organics and more. Systems that feature reverse osmosis membranes are — without exception — multiple stage systems. That’s because the RO membrane is sensitive to the action of chlorine, plus it can become damaged or clogged because of the accumulation of sediments on its surface. Therefore, a RO system will necessarily feature a sediment filter and an activated carbon block filter upstream of the membrane. This set-up will not only protect the membrane from the potential damage of harsh chemicals, but it will add to the filtration power of the system that features it. Long service life (usually replaced every 2 years) provided it’s protected by sediment and chemical pre-filters. Combining 6 different filter cartridges, this reverse osmosis system is one of our absolute favourites. It removes hundreds of types of common and health-related municipal water contaminants, offering highly polished and delicious drinking water that you can have straight from the tap. Beyond its water optimising capabilities and easy maintenance, another advantage that’s not often found in multi-stage systems is the fact that all filter cartridges are replaced at the same 12-month interval. This means that you no longer need to worry about remembering filter replacement dates and sourcing filters at different intervals. With the BMB-20 there’s one filter changeover every year. Because some of the filters are infused with Zinc nanoparticles, bacterial growth is not an issue you should worry about. Both sediment filters and carbon pre-filters are infused with Zinc nanoparticles for bacteriostatic properties. You may be surprised to hear it, but UV lights are not just for tanning. Water can be purified by using UV light water purifiers, which pierce the cell walls of microorganisms damaging their DNA, destroying their ability to infect and reproduce. E. Coli, Giardia, Cryptosporidium, and host of other viruses and bacteria are rendered harmless once water has been treated with UV lights. In UV water purifiers, water is pumped into a chamber that holds the UV bulb, which is fine-tuned to a wavelength that destroys microorganisms from water. It can be used in combination with other filters and in any stage of the filtration process. This UV filter is suitable for the treatment of private water wells or other water sources that require disinfection due to microbiological issues. The only maintenance this filter requires is a light bulb change, which you’ll be alerted of by the lamp failure indicator that’s built into the system. The lamp will last for up to 10,000 hours of operation. As with any UV filter systems, the Lightbest must be used with a sediment pre-filter. Water that’s high in sediments will prevent UV lights from reaching bacteria, and the treatment of water won’t be as successful. Pyrolox or manganese dioxide is a mined ore used for the reduction of iron, manganese and hydrogen sulphide. Manganese dioxide acts as a catalyst against oxidation. Even though iron is essential for health, it can cause problems like red stains on clothes. Reduces iron, manganese and hydrogen sulphide. This filter acts not only as a medium that can reduce iron, manganese and hydrogen sulfide, but it also reduces turbidity and it excellently complements aeration, chlorination and ozone. It lasts for 4 months at 200mg/L Iron levels before it requires replacement. Ceramic filtration has a long-standing history in water treatment. Ceramic filters are used both in pressure-based water filters and gravity-fed systems. Ceramic filtration can remove turbidity, bacteria, viruses, protozoa, cysts, plus anything else that can’t get past the small pore size of the ceramic medium. The Coldstream uses ceramic filter candles that feature activated carbon inserts to remove a host of dangerous contaminants from viruses and bacteria to fluoride and heavy metals. Filters in this system are cleanable and durable. The system is easy to assemble and maintain, filters last for 6 months. Multi-layer filtration is a bit different from multi-stage filtration. While in multi-stage systems there is an individual filter cartridge for each filter medium, mixed-media filters are usually placed in a single cartridge. This has the advantage of taking up less space and potentially offering better flow rates. Mixed-media filters can contain a combination of the filter media discussed in this article (e.g. KDF + activated carbon + sand). Designed as a single-cartridge filter, this Osmio under counter filter system is a mixed-media or multi-layer filter with KDF, ryolite, and silver impregnated granular activated carbon in its composition. This ensures that multiple contamination issues are addressed at once. Thus, the filter can remove chlorine, heavy metals, VOCs, and will inhibit bacterial growth. The cartridge has an impressive service life of 2 years before replacement is required. Sand is the oldest filter medium used by humans who attempted to imitate the filtration that occurs in nature. Sand used for filtration is naturally high in silica and low in calcium. Once graded and washed, it’s used in multi-layer filtration or as a stand-alone filter medium. Sand filtration is mainly used in municipal water treatment. Which is the Best Filter Medium? Modern filter systems rarely use just a single medium to treat water, and that says a lot about “picking favourites” in this field. Truth is, on their own, most filter media can usually address only a limited number of contamination issues, not enough to target most water issues that may exist in municipal water supplies. If the question would be about popularity, activated carbon would possibly take the win due to its affordability, filtration qualities, and sustainability. 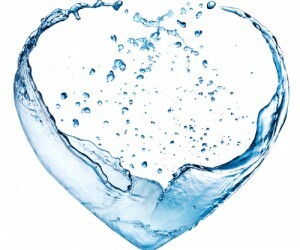 It’s used in almost any home water treatment system and it’s widely available. Therefore, mixed-media filter systems or multi-stage filter systems are the best if you’re looking to address multiple contamination issues. 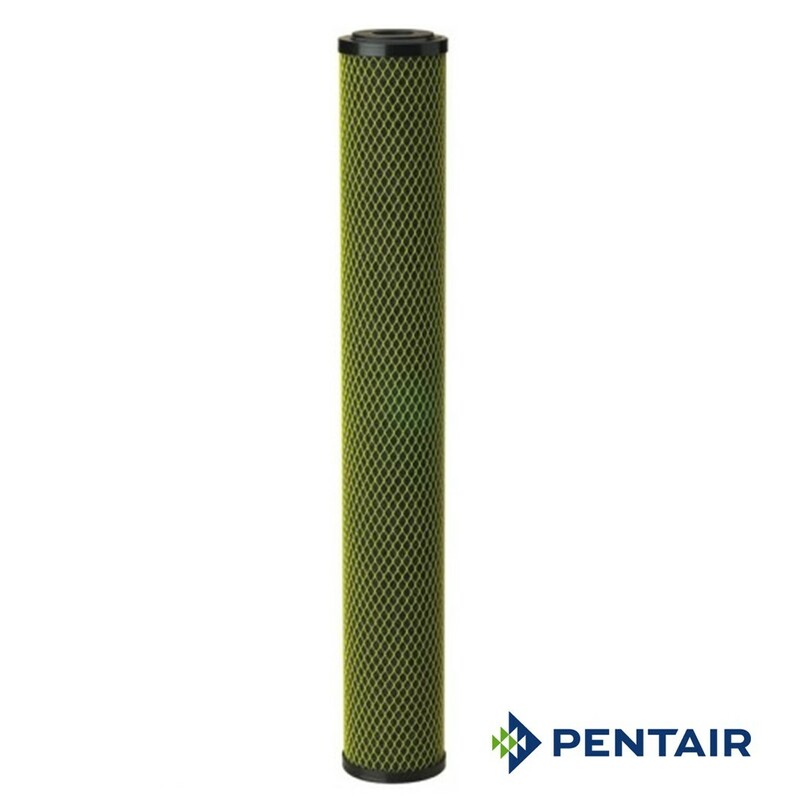 Pentair ELPC Electroplating Carbon Filter Cartridge 20"